With the summer heat in full effect, you may be feeling more carefree and free-spirited these days! 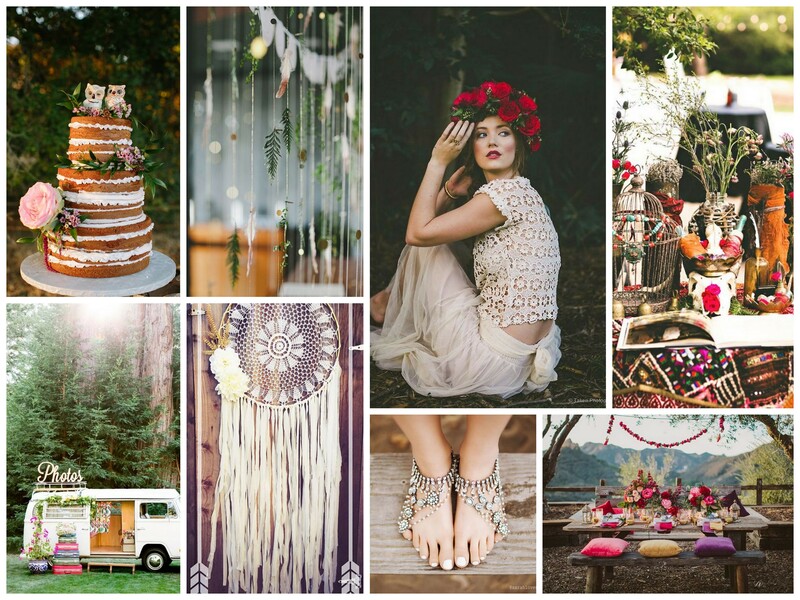 Here’s some boho chic wedding inspiration for the Bride that wants a unique, creative-inspired wedding with a hippie flair. Would love to create a wedding in this direction! There are so many amazing venues available that cater to this palette. Let’s go explore!